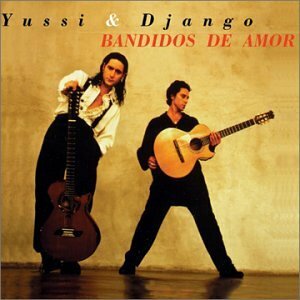 ON DECEMBER 1ST, 2015 X DOT 25 MUSIC CELEBRATES THE 20TH YEAR ANNIVERSARY OF "BANDIDOS DE AMOR" ALBUM RELEASE BY "YUSSI & DJANGO"
"go check out Yussi & Django, who we caught twice in the same week 'cause they were so good! Alternately intense and relaxing, it's kind of like Strunz and Farah, but with a younger, hipper twist..."- BAM Magazine. Django plays an exotic and energetic style of instrumental music that is spiced with fiery improvisation in the tradition of Eastern European Gypsy, Spanish flamenco and American jazz players. His exciting, virtuosic playing is captured on his debut CD, accompanied by some of Los Angeles' finest young musicians on fretless bass and percussion. His original compositions blend Spanish and Middle Eastern guitar melodies with powerful Latin and Persian rhythms, and the result is an intriguing and playful sound similar to the Gypsy Kings, Ottmar Liebert, Strunz and Farah (with whom he studied), and even John McLaughlin. His music is a music with sweetness, soul, precision, and youthful energy. Django's father who is also a musician started teaching him at a very early age. Django began playing blues and rock, and later in his teen years he began studying jazz. 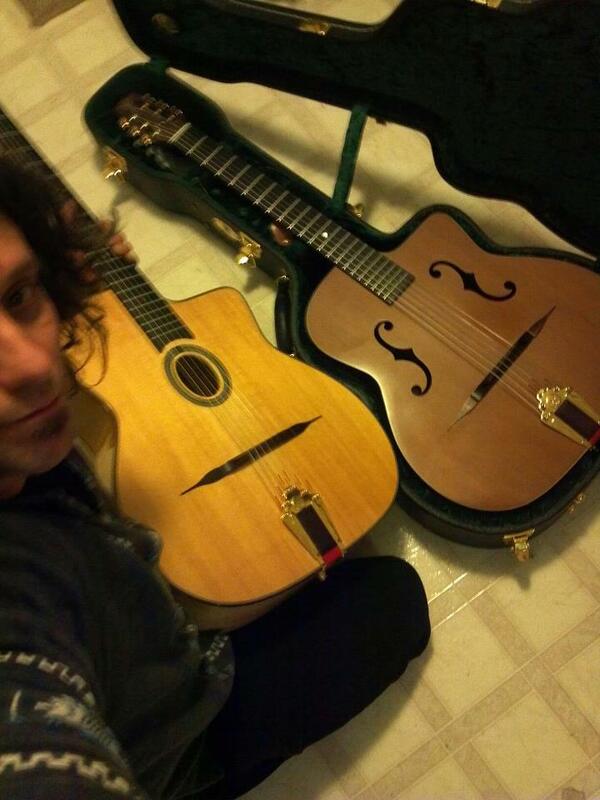 Django who is always searching for new musical styles, began experimenting with traditional world music. For the last eight years he has been playing in the Los Angeles area with numerous world beat, jazz and pop groups.